David Flory, Deputy NHS Chief Executive, issued a letter today which provides information on plans for Payment by Results (PbR) in 2012-13. These plans include an expansion in the scope of PbR into areas such as adult mental health, and a further increase in the coverage of best practice tariffs. He also highlights the publication by the Department of Health of a draft of the mental health PbR guidance for 2012-13. 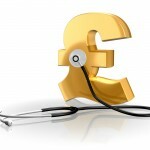 This draft guidance is intended for all NHS organisations providing mental health services in preparation for 2012-13 and all commissioners of mental health services, to test at an early stage whether we are giving providers and commissioners enough information to set the framework for their contractual discussions, based on the new currencies. A final version of the PbR guidance will be published later this year.